1. At what age should I schedule a consultation with the orthodontist? - Typically many general dentists refer patients to an orthodontist around the age of 7. It is best to have a consultation scheduled with the doctor, since everyone's treatment is unique, preventative measures may be taken to reduce the risk of a future problem, such as severe crowding or tooth impaction. 2. How do I schedule a consultation with the orthodontist? - Simply call (301) 624-5700 or send us a message via our Home or Contact Us page and we will be happy to schedule the appointment for you. When you call or message us to schedule your appointment, our front desk staff will request some basic patient information. 3. What should you expect at your consultation appointment? - Once you arrive to the office, feel free to introduce yourself and sign-in. We will have some initial paperwork for you to fill out and we will need to make a copy of your insurance card to call for benefits. Next, you will be brought back by a staff member into the consultation room for a brief evaluation. (Please note: Children/minors must be accompanied by an adult during this appointment.) The doctor will thoroughly evaluate you or your child and then explain in detail what is going on inside of your (child's) mouth, the best treatment options, and the predicted amount of time treatment should take. We will print out your customized fee schedule and appointment information. 4. How much will braces cost? Are financing options available? Do we accept your insurance? - It is not possible to give an exact price amount for treatment until you or your child has been examined by the doctor. We will go over the exact price amount and financial options available to accommodate your needs at your consultation appointment. We accept several types of insurance! During your consultation, we will go over your insurance policy, help you to maximize your benefits, and file your claims. 5. How long will your treatment take? - Since no case is typical, it is hard to give an exact time-frame until you or your child has been evaluated by the doctor. The doctor will give you a estimated treatment procedure time-frame based on you (or your child's) needs. Please note that these estimates are based on a "cooperative patient plan," meaning that the patient is responsible and is doing exactly what the doctor has instructed. 6. Will teeth need to be extracted for orthodontic treatment? 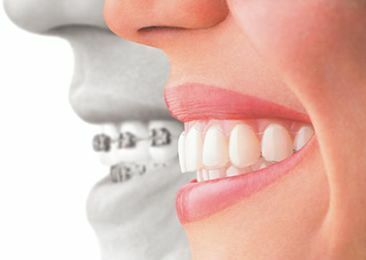 - In some cases, it is necessary to have teeth extracted to ensure that we achieve the best orthodontic results. You will be informed at your consultation appointment about whether or not you (or your child) will need to have any teeth extracted, and if so which teeth. 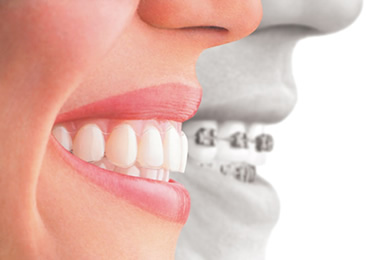 Straight teeth and a balanced facial profile are the goal of orthodontics.